Writing your resume is not an easy task, which is why people make a great living off of creating the perfect resume for you. Recruiters rewrite hundreds of resumes to make sure they had a chance to get an interview. The problem is, the average hiring manager looks at each resume for an average of 6 seconds. 6 SECONDS! How do you wow someone in that short of time? It’s not simply but it is science. Researchers have studied how people read and process what they are reading so much so that even our television ads, newspaper articles, and magazine layouts are all designed to manipulate where you look. It’s pretty crazy stuff honestly! 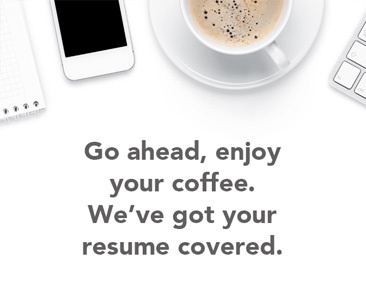 With that being said, writing the perfect resume starts with design and ends with the message you’re trying to send. You have to catch their eye first before they even care what you wrote. Your Contact info must be at the top, bolded, and easy to pick out immediately. Let them know who you are! Our eye automatically goes to the top left of any page and then looks in a “Z” pattern – top left, across right, down left and back right again. Your resume should only be written in eligible fonts such as Times New Roman or Ariel. DON’T GET FANCY. After that, decide if you want to write a 1-2 sentence objective. This is not mandatory but if it’s relevant to the job you’re applying for and not generic, then write a quick objective. What you did at that company. Age determines length. Don’t write more than necessary because if you’re 24 with 3 pages of experience – something is wrong. Do not include personal interests and hobbies. Leave that for the interview when they ask or it’s relevant. It’s a waste of their time to see. If you have a special skill that is needed for the job such as languages spoken, only put it on the resume when relevant. Some keywords to avoid – Me, Myself, Hard, Time, Need, and Chance. These are all needy, useless words for a powerful resume. The grid lines and format shown above is to help you see a clear-cut example of what will catch the eye. After they see what you did and where, then write effective, to the point, bullet points on what your job was. Too many words over crowds the eye and without white space on the page to draw them in, hiring managers will move on. White space is critical for making your words stand out. Tailor your resume to the specific position you are applying for. Nothing screams more desperate then a generic resume. All that says to the manager is you will take anything they have. That is not what you want! Be sure to only use relevant work experience that is related to the position they are hiring for. If the job is for a copywriter, list all the key skills you have learnt that applies to that position. Listing that you are skilled in sewing is not relevant to this position. Keywords are not only necessary, but mandatory for a perfect resume. There are generic keywords that one looks for such as Experience, Management, Projects, Knowledge, Skill, Business and many, many more, but I’m focusing more on using keywords from the job description in your resume. Most managers use their computer to digitally see your resume so they will use the search bar to find what they are looking for. If they need a visual designer with XML and banking experience, use XML in each of the jobs you worked with it, and if you worked at a bank, write ‘banking policies’ or anything that emphasizes your experience. Each description will be different and if can tailor your resume with keywords alone, you're way ahead of the competition. Lastly, there are a few things to keep in mind when writing your resume. Make sure to read your resume over before sending. A little eye to detail goes a long way! Try reading your resume out loud. You'd be surprised what you find when you have to take the time to verbalize rather than scanning over your resume and possibly missing details.